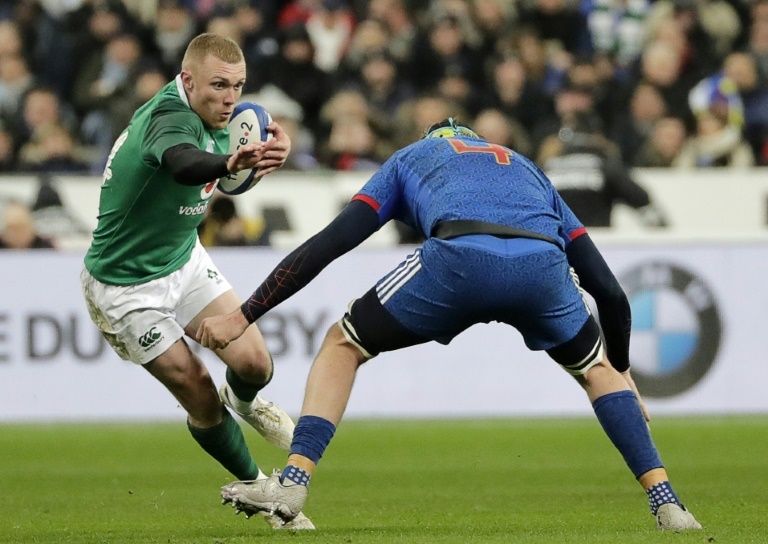 RUGBY NEWS - Ireland coach Joe Schmidt's warning his Six Nations titleholders can expect a brutal clash with England in their opening game of the tournament on Saturday comes as no surprise to veteran wing Keith Earls. The 31-year-old Munster back - who was an ever-present in Ireland's Six Nations Grand Slam triumph last year - said the game these days revolves round "15 men trying to kill another 15 men within the rules of the game". Schmidt's side go into the game as favourites on the back of winning 11 of their 12 Tests last year including an historic home win over double world champions New Zealand. His England counterpart Eddie Jones, though, promised last week the hosts can expect "brutality" when they meet at Lansdowne Road as he could field big hitters like the Vunipola brothers, Mako and Billy, with centres Ben Te'o and Manu Tuilagi a potential heavyweight midfield partnership. "Every game we play in is brutal and physical because it's 15 men trying to kill another 15 men within the rules of the game, you know?" said Earls at a press conference. "I wouldn't get too bogged down in it. I'd obviously expect a game like that to be brutal, brutally physical. "As I said, they (the matches) are expected to be brutally physical against Scotland, Italians and the Welsh as well. "So, it's nothing new, it's just the two coaches; on the field, we always know it's going to be brutal." Earls, capped 72 times since making his debut in 2008 and with 27 tries to his name, is especially wary of the Vunipola brothers with No 8 Billy raring to go having returned to the Test arena after breaking his left arm last October having also broken his right arm twice in 2018. "Mako, a loosehead, I don't know how he's able to ball play; he brings that extra dimension for them," said Earls. "And Billy does what he does best: he runs over fellas. "He's quite physical but I think as a whole, I know they're talking about physicality but it's not new when you face England or it's not new for the Six Nations. "It's going to be physical no matter who you are playing. That's what we're expecting on Saturday." Earls, who made an immediate impact on his Test debut scoring a try with his first touch against Canada more than a decade ago, said the Irish would be well primed by Schmidt on the weaknesses he perceives the English have. This approach has paid off handsomely the past two years with the Irish denying the English the Grand Slam in Dublin in 2017 and then clinching the Grand Slam themselves at Twickenham last year. "We're going to have to start strong, not like we did in the last couple of years where we kind of had a slow start or a Johnny Sexton kick getting us out of trouble," said Earls. "I suppose that puts a lot of pressure on us as well. We know the challenge that's in front of us is massive. "I think teams do try to outsmart them. That's why we come up with moves, to outsmart them."